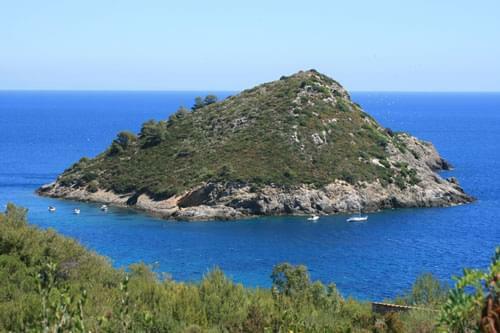 The Monte Argentario promontory was once an island just a short stretch out into the Tyrrhenian Sea off the Tuscan coastline. Eventually, due to sea currents, two sandbars formed (Tombolo di Feniglia and Tombolo della Giannella) joining the island to the mainland. 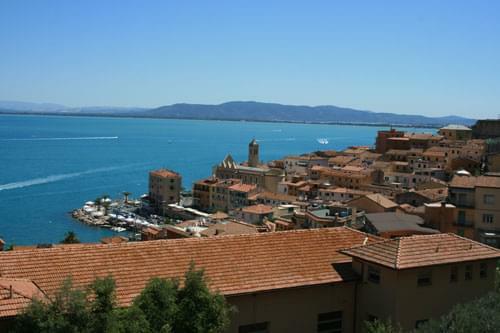 The town of Orbetello sits between them, also attached to the mainland by an artificial dam. The result is the lagoon of Orbetello which is one of the most stunning and interesting places in the Maremma and is so important ecologically that it is protected by the World Wildlife Fund. 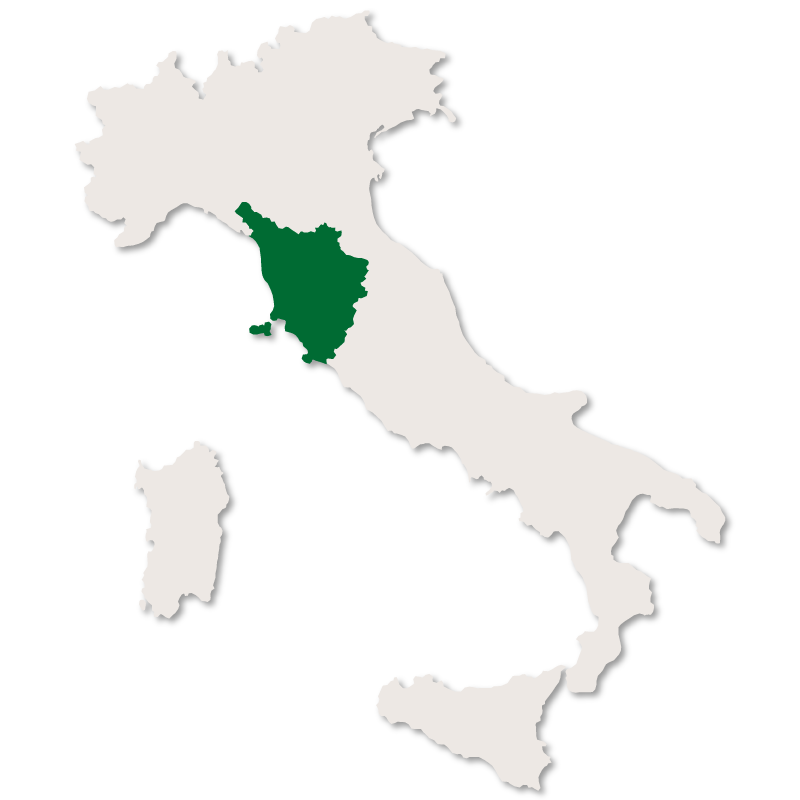 Due to some important archaeological findings it has been possible to prove that the Monte Argentario Promontory has been inhabited since very early times. At least ten caves around its shores have evidence of having been lived in and human remains have been found in Grotta degli Stretti and Grotta di Cala dei Santi. One of the most famous caves, La Grotta del Granduca, is almost a mile long and has a small lake just inside the entrance. Historically, the promontory was always considered to be a safe haven by seafarers due to its many natural bays and enviable position in the centre of the Tyrrhenian Sea. Because of this strategic position it had to be guarded carefully from attacks by sea and many watchtowers were built over the centuries for that purpose. The threat of invasion from the sea was a constant problem and it is known that in 1544 the pirate Khair ad Din, known as Redbeard, plundered the town of Porto Ercole. During the Second World War many parts of Monte Argentario were heavily bombed causing a fair amount of destruction. The railway line connecting Orbetello to the mainland was totally destroyed and never rebuilt. 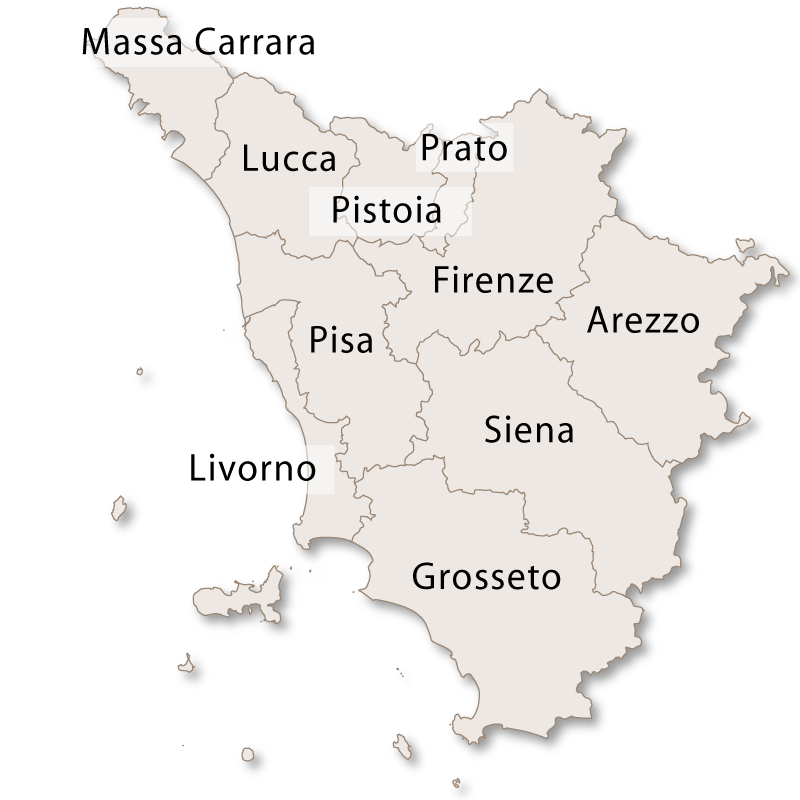 The port of Santo Stefano was also destroyed but was rebuilt several years later. 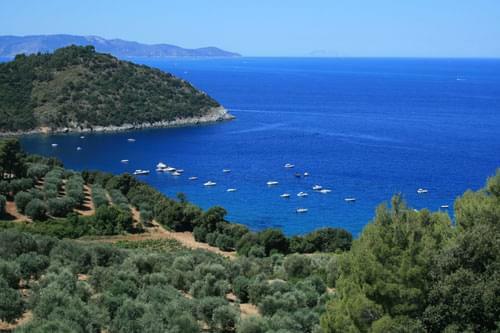 Monte Argentario is a hilly, rocky area of outstanding natural beauty with the highest point being Punta Telegrafo which is 635 metres above sea level. From the summit it is possible to see most of Tuscan Archipelago and on a clear the day the French island of Corsica. There are very strict planning laws in place in order to maintain the equilibrium of the area and to protect the natural habitat. Today the coast remains totally unspoiled with the land rising steeply from the sea and many of the old lookout towers studding the coastline. 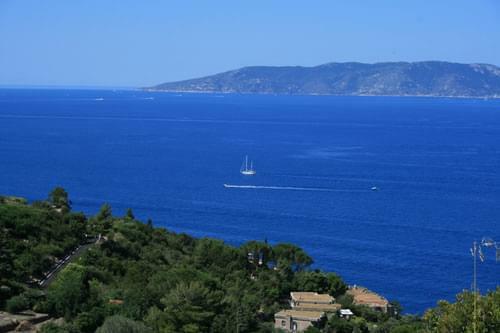 From Porto Santo Stefano it is possible to drive along the 'Strada Panoramica' which will give you breathtaking views of the coastline right across to the Tuscan Islands. The natural vegetation consists of dwarf palms, olive trees, figs, roses, myrtle, and roses creating an exotic and highly scented atmosphere. 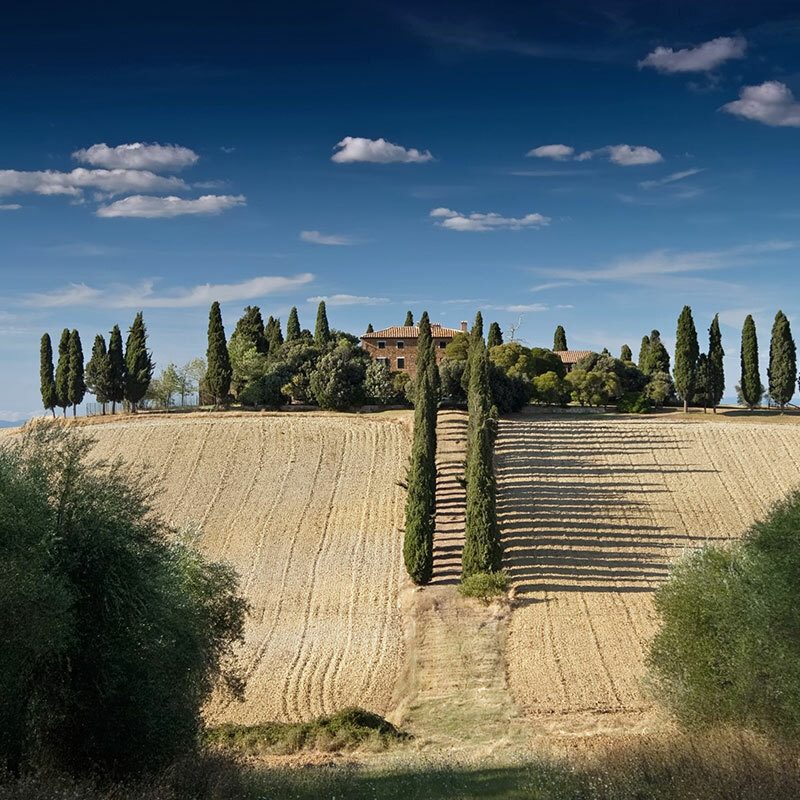 Orchards full of fruit are cultivated along with the rare Ansonico and Riminese grapes which are grown in terraced vineyards all along the hillsides. 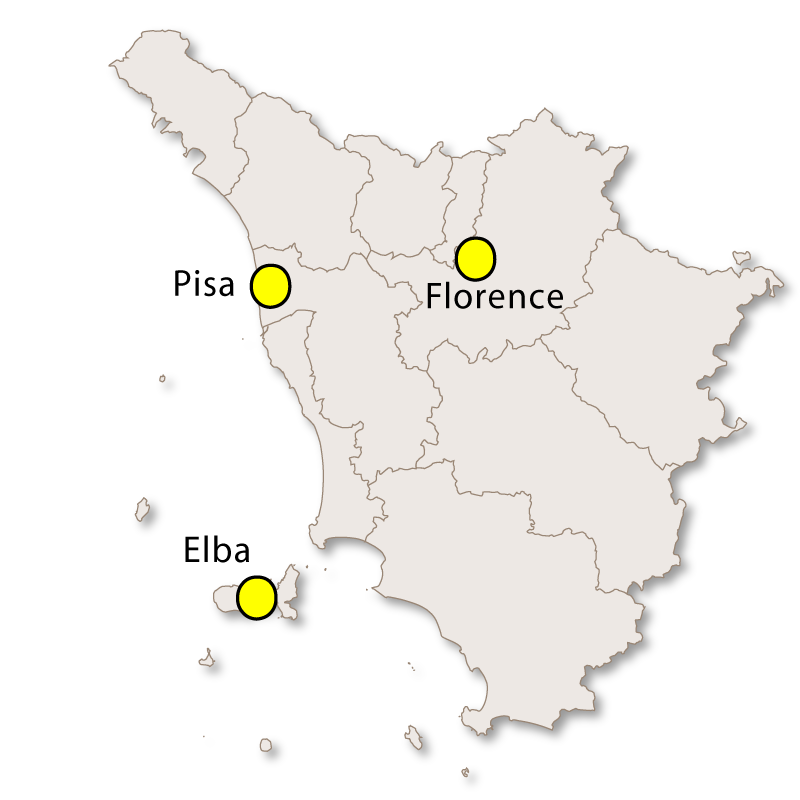 The Riminese is a variant of the Sangiovese grape while the Ansonico grape produces white wines such as Ansonica Costa dell´Argentario, Fonte 40 and Ansonica Bucce. The area once relied almost on fishing but now tourism is a large part of the economy. 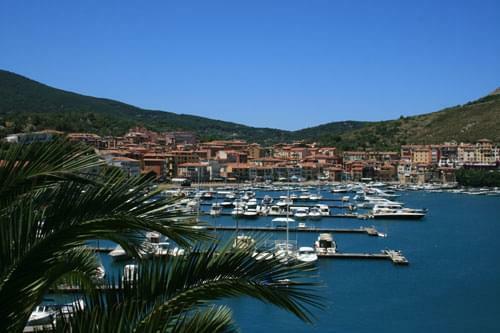 The two main towns and ports of the Monte Argentario Promontory are Porto Santo Stefano and Porte Ercole. 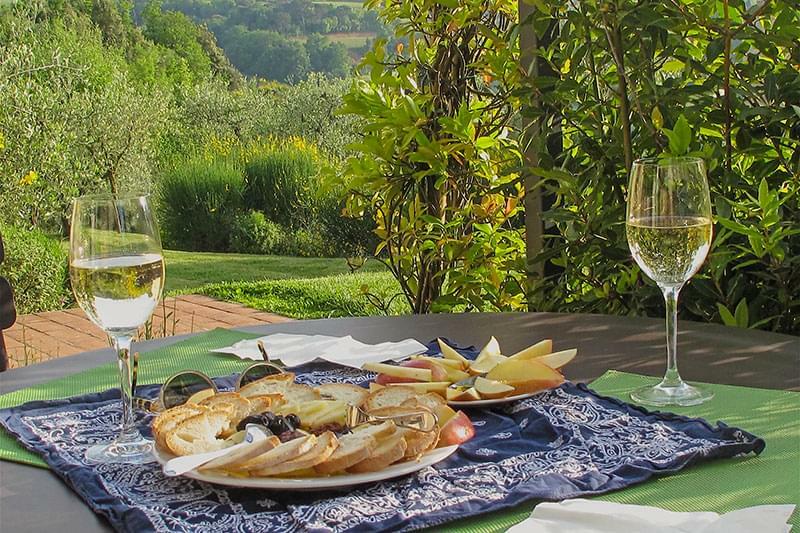 The Argentario area is blessed by a very mild climate, which, together with an endless choice of beautiful beaches makes it a perfect choice for family holidays. The diversity of the beaches is amazing, from long stretches of white sandy beaches with bathing establishments, to tiny coves and rocky inlets which are only accessible by boat. This is an enormous stretch of sand dunes, over 6km long and 1.5km wide. 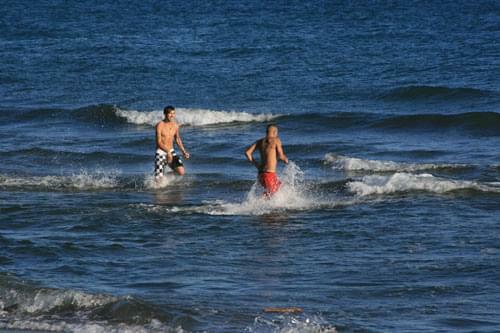 This is the most famous beach in the area and very popular with families. The sand is fine and it shelves very gently into the warm turquoise sea making it safe and easy for small children. Feniglia beach has the added advantage of pine trees running down its centre which give much needed shade in the height of summer. Cars are forbidden down the long road through the pine trees that leads to the beach so it has to be approached on foot or by bike. La Feniglia is well equipped with bars and other facilities and is considered to be the most up market beach of the area. 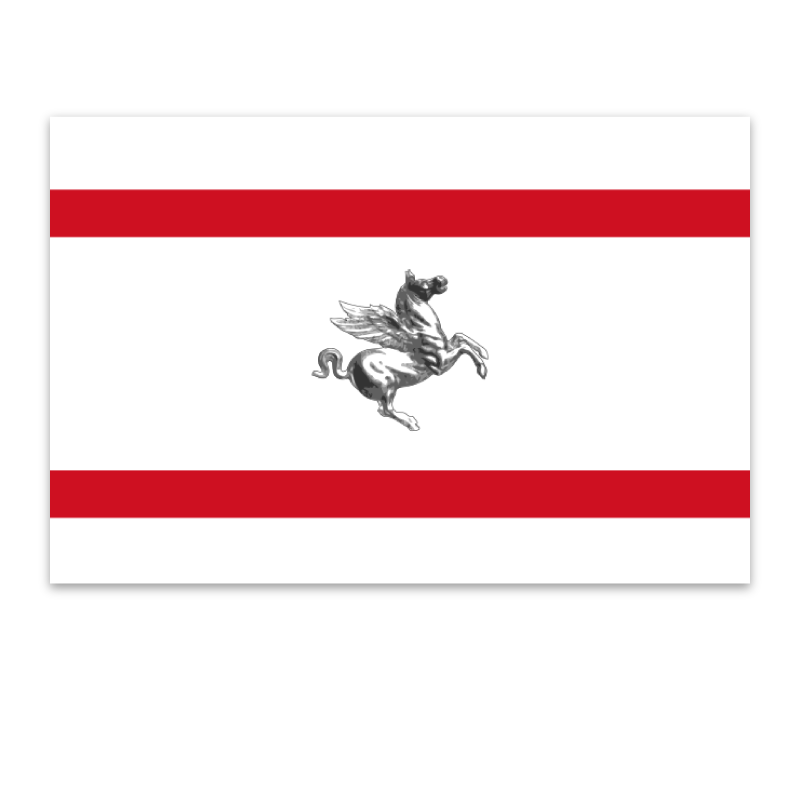 Equal in size to La Feniglia it is also a beach of fine sand which shelves gently into the water. 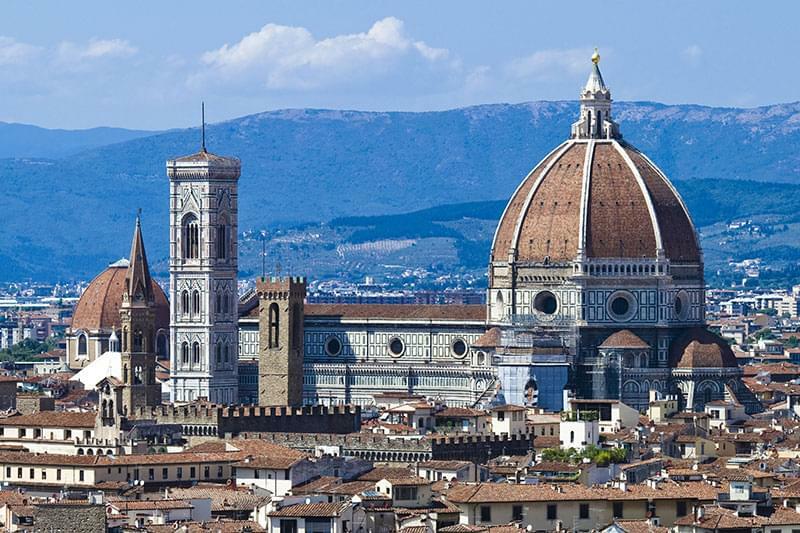 It is the more crowded of the two and has bathing establishments (sun beds, umbrellas and cafes etc.) all along its shores. There are also facilities here for many water sports such as wind and kite surfing and kayaking. This is a small but beautiful sandy crescent on the less crowded west coast. A very pretty beach which mainly sandy with small pebbles. There is an old watch tower and it is close to the tiny Isola Rossa. A pebble beach with low, rocky cliffs which is extremely difficult to access from the land, it is better to go by boat. Again, difficult to reach but this tiny, very sandy beach is well worth the effort. It is very close to the Grotta del Turco. This is a beautiful small bay with very little beach but the sea here is wonderfully clear and a brilliant turquoise colour. There is a large area of flat rocks from which you can dive straight into the sea.